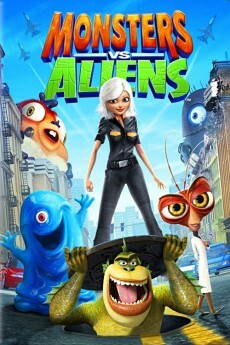 After years of following the adventures of teenage Ben Tennyson through Alien Force and Ultimate Alien, this all-CGI movie takes us back to the Ten Year old Ben Tennyson that animation fans were first introduced to. For the benefit of all, here are the basics. 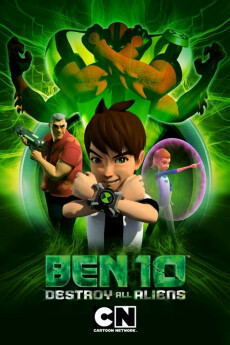 Ten year old Ben Tennyson comes across this alien technology called "The Omnitrix" that allows him to morph into 10 different types of aliens. Together with his grandpa, who is secretly a hi tech defender of earth, and his magic wielding cousin Gwen, Ben Tennyson uses his new gift to take out any evil alien that may threaten mankind. Over the course of the series, Ben 10 is notable for developing a rich mythos and fictional universe filled with alien technology, extraterrestrial races, almost as diverse as Star Wars. This new movie throws you right into that universe without any form of introduction to anything. So, if you are not a pre-existing Ben 10 fan, be prepared to do a lot of wiki-ing. Now the mystery element is the main attraction. The show keeps the viewers asking questions until the last moment: Where is Azmuth, who is the mysterious attacker, what is wrong with the omnitrix etc. But the resolution to the story is very anti-climatic. 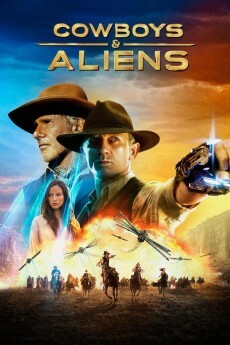 Overall, it lacks the intergalactic scope of "Secret of the Omnitrix" or the novelty of the live action movies (as bad as they were). If it were not for the CGI animation, this movie could have easily been a mid season episode of the original series. The CGI itself is another problem. The computer animation tries to translate the original anime-styled designs to 3D CGI but with sub-par results. The simples lines and colors that work so well in 2D just seems unimpressive in 3D CGI and downright lazy at times. For example, characters' hair look more like clumps of clay, clothing lack any folds, background buildings and props are hastily rendered with only the most basic of shadings. Sometimes even the mouth movements seem out of sync with dialogue. The designs are great but the actual CGI quality is sadly below mediocre; more fitting for a early 2000s TV series than a 2012 movie. Vehicles, wreckage and the like have a certain weightless feel about them and those fire, water or smoke effects look years behind the times. 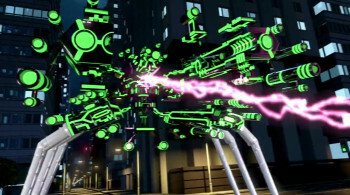 Just comparing this to the Ben 10: Vilgax attacks PSP video game shows you how lacking this show is in terms of quality. The movie's only redeeming quality is the voice acting. Tara Strong and the other original voice actors return to the roles that they helped give life to and once again put forth an awesome performance. The chemistry is impeccable; just hearing Ben and Gwen bicker again will bring a smile to any fan's face. More thought seems to have gone into the dialogue script than coming up with a fresh epic story. 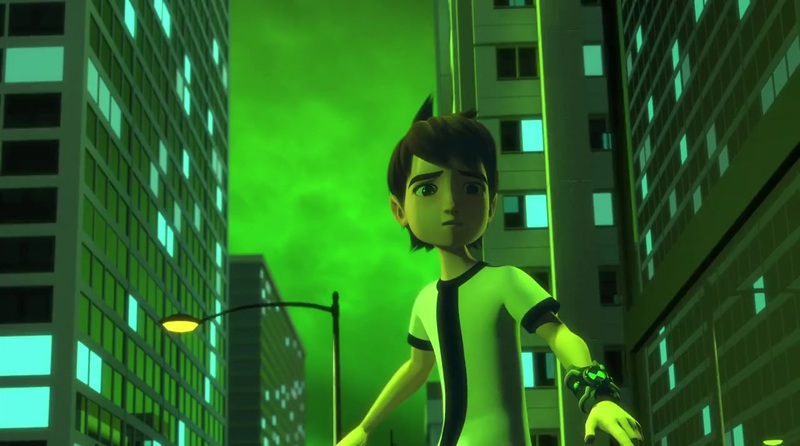 It is a valiant move to try and revisit the original Ben 10 but at least try to do it right. The creators could have gotten a more competent animation studio and a "bigger" plot to justify this movie as a movie and not a random episode of the TV series but with crappy animation. Ben 10 in the ultimate alien rumble! As the classic franchise went on, awesome as it still is, I was starting to miss the old days when Ben first became a hero. Then this movie came out and brought back the shape-shifting hero's younger self into an awesome, action-packed, computer-generated adventure. 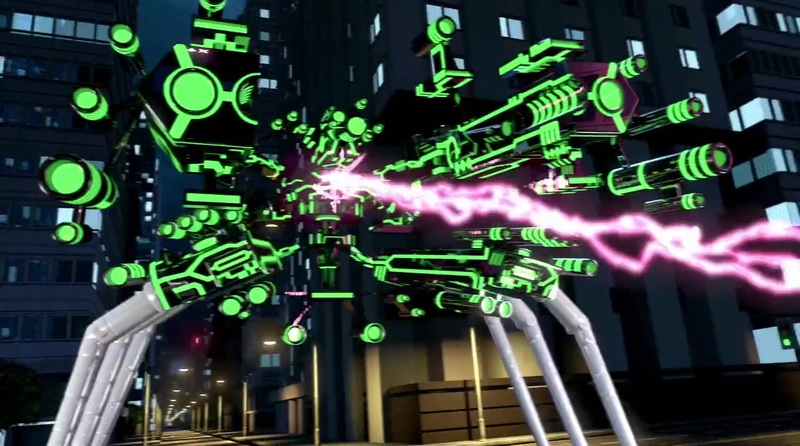 Get ready to set your watches because this is Ben 10: Destroy All Aliens! Summer vacation is over. Ben is back in his home town to once again return to a school-failing, bullied life. Soon enough, trouble comes looking for Ben as a mysterious alien vengefully searches for answers involving the malfunctioning of Ben's omnitrix and the disappearance of Azmuth (the creator of the omnitrix). Our hero now finds himself in a conflict that has the fate of the world hanging by a thread, but thankfully he has Grampa Max, cousin Gwen, and rock-hard Tetrax to help him out. It's hero time! So nice to see the old look of the characters and it's even nicer to see them in CG (which itself is pretty impressive). The old alien forms are back in all their super-powered glory with the same actors doing their voices. The action scenes are absolutely insane, virtually everything in sight gets destroyed as Ben, Gwen, and the aliens duke it out around the world. These may be the best action scenes in the entire franchise, and that's saying a lot! The story is pretty interesting too as it keeps you guessing on what's going to happen next. It makes enough connections between the first and second series, which to me are satisfactory. Overall, this is the best Ben 10 has to offer. I went in this not expecting too much, and as a result I was totally blown away by all the stuff that happens throughout the film. 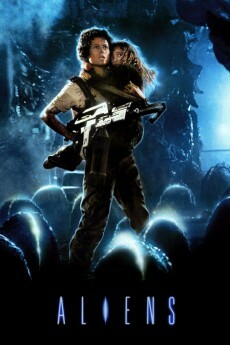 I definitely recommend anyone to check this out-of-this-world flick out and enjoy. 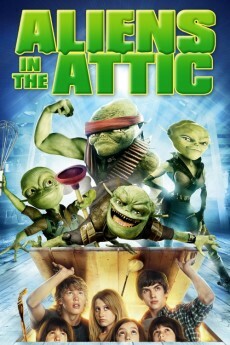 Don't get me wrong this movie was good even as a long time Ben 10 fan I enjoyed this movie. It had good animation, voice acting, and story. Heck they even had voice actors from the original series voice in this movie and even got Troy Baker who never voiced in any series to be in the movie. It could have been better if they would have got Way Big's design right and not used a cliff hanger ending with Dr Animo.